HPDI offers a three-tiered system of nutritional supplements: Foundational Supplements, Enhancement Formulas, and Specific-Condition Formulas. All three tiers comprise a complete nutritional supplement program. When combined properly, these three tiers of nutritional supplements help create optimal health. This month, I explain how to use HPDI foundational supplements, the base or bottom tier of the system (see cone diagram below). 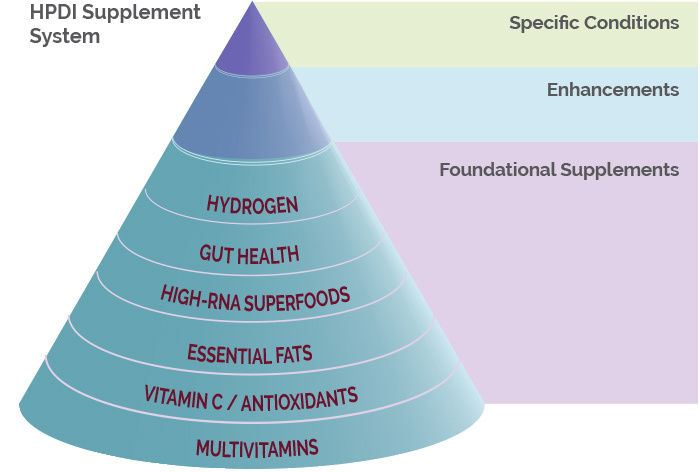 The HPDI supplement system can be visualized as a cone or pyramid having a base of Foundational Supplements ascending toward an apex of Enhancement Formulas and Specific Condition Formulas. My intent is to guide health care professionals and consumers to decide the foundational supplements that are best for their purposes, and that provide the most effective results. You can also contact Fred Liers, PhD (520-400-0155) or Hank Liers, PhD (formulator) with questions you may have regarding specific products, single nutrients, or formulation. We at HPDI strive to educate our readers about ways they can avoid or prevent toxicity, as well as detoxify their bodies. Many of our recommendations are included in our Rejuvenation Program. Fluoride is one of the substances that can, along with other halogens (like chlorine) block uptake of iodine (which is necessary for proper metabolism and thyroid function). This is just one example of how it harms health. Other harmful manifestations with respect to health include dental and skeletal fluorosis, endocrine disruption, gastrointestinal effects, brain and behavioral effects (including ADHD), and acute toxicity. 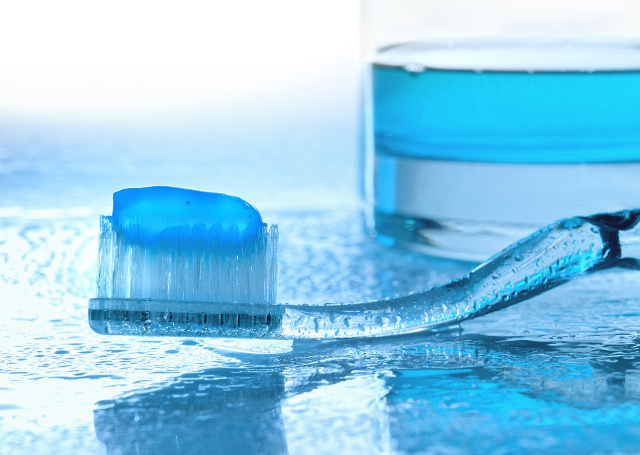 People ingest fluoride from fluoridated water, dental products, and many other sources. There are many things you can do to avoid or reduce intake of fluoride and thereby avoid toxicity. One relatively simple method is to use a high-quality water filtration system, especially a whole-house filter system. Avoid fluoride toothpaste. Avoid using pans with non-stick coatings. Avoid exposure to foods sprayed or fumigated with the pesticides cryolite (usually sprayed on grapes and other fruits) and sulfuryl fluoride (often used in food processing facilities for nuts, beans, dried fruits, and cocoa powder). An effective means to avoid fluoride uptake by the thyroid gland is consuming iodine (e.g., in the form of iodine-rich foods or ingestible products like Nascent Iodine). Iodine naturally blocks or reduces uptake of fluorine by the thyroid by providing the body with a non-toxic halogen (i.e., iodine) it actually needs for health. There are other ways to avoid fluoride exposure or reduce its adverse effects in the body. The Orthomolecular Medicine News Service (OMNS) recently published an article titled “How to Reduce Exposure to Fluoride” by Stuart Cooper of the Fluoride Action Network (FAN). In his article, Mr. Cooper discusses the many ways that fluoride enters the body through fluoridated water, diet, pharmaceuticals, and other means. He then presents several guides and resources that can help consumers reduce their exposure. Of course, the very best way to avoid fluoride is to work with your friends and neighbors to get it out of your water – or keep it out of the water. “Flu season” is here. It’s hard to escape it—as evidenced by sick friends and coworkers—and maybe yourself or family members. Not to mention exhortations to get flu shots in the media and elsewhere. Flu indeed dominates health news during the winter. This year it coincides with massive media coverage on the Ebola virus. Are flu shots worth taking to protect against viral illness? The Centers for Disease Control and Prevention (CDC) admits the flu shot may not be effective this year. In fact, the flu vaccine may offer offer little protection. There are simply too many influenza strains to cover. This year’s vaccine was in production when CDC realized the vaccine does not include the most virulent strain of the season. What about protection against other viruses? There are thousands. Yet, there are many things you can do to ensure your body can defend itself. From a perspective of natural healing, the best—and perhaps only—thing to do to combat viruses is establish good health and strong immunity, and then maintain them. 2) Build immunity by natural means, including specific immune-enhancing formulas. 3) Take appropriate natural antimicrobial (e.g., antiviral) supplements, including certain herbs, minerals, amino acids, and other nutrients. The list of approaches is not comprehensive. There exist other natural means supporting the body against viruses that are not specifically nutritional. For example, infrared saunas, hydrotherapy, and various forms of exercise support strong immunity and optimal health in the body. Many approaches are discussed in the HPDI Rejuvenation Program (see below) other than nutrition. The Rejuvenation Program addresses various health-building practices, including preventing toxicity and detoxification (including related products like Intestinal Rejuvenation Formula and Hepa Plus) that can powerfully support good health. However, this article primarily focuses on nutritional approaches supporting the body defending itself against viruses. Establishing and maintaining good nutrition is perhaps the highest priority item when seeking to build optimal health. The kind of health necessary to keep the body and its immune system strong when exposed to viruses. 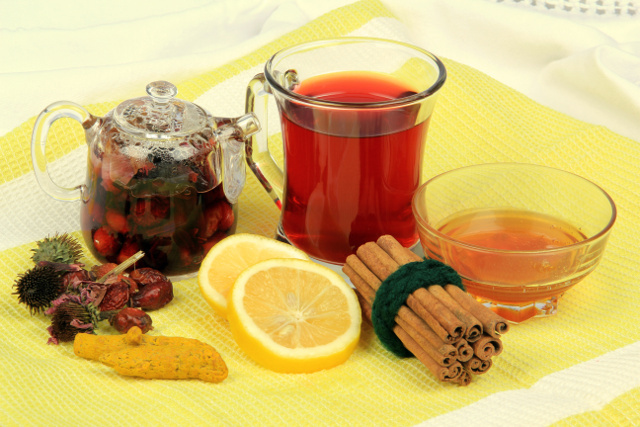 Hot herbal tea blends with cinnamon, turmeric, ginger, and lemon are helpful for winter flu and coughs. HPDI offers ideas and suggestions for establishing and maintaining good health and strong immunity that can help you fight viruses. First and foremost, we believe health begins with diet and nutrition, including Foundational Supplements. This is the first part of the Rejuvenation Program. This article will not address diet in detail. However, the HPDI Rejuvenation Program generally emphasizes a balanced, varied diet, consisting of whole, high-density foods, including many vegetables and other plant foods. It favors organically grown and pesticide- and chemical-free foods. A certain level of raw foods is desirable. The Rejuvenation Program is not prescriptive about what any given individual should eat. Individuals have different dietary needs depending on many factors, including age, level of exercise, blood type, metabolic type, food sensitivities, etc. Certainly it is best to avoid consuming processed foods, refined foods, as well as high-sugar and other nutritionally depleted foods. In addition, the foods produced by industrial agriculture (i.e., foods containing synthetic pesticides, herbicides, and genetically modified (GMO) foods are best avoided. In addition, ingredients like artificial colors, flavors, preservatives, as well as deleterious additives, fillers, excipients and other non-nutrients or anti-nutrients. Important dietary recommendations in the Rejuvenation Program include consuming fresh vegetable juices and smoothies, high-density foods (like chia seeds), and relatively high levels of dietary nucleic acids (like those found in Rejuvenate! superfoods). – Appropriate routines for individuals, including exercise, yoga, massage therapy, acupuncture, hydrotherapy, as well as relaxation/meditation/biofeedback. What distinguishes HPDI’s Rejuvenation Program from other health and wellness programs, supplement systems, diets, or detoxification protocols is its emphasis on a complete system of nutritional supplements and a comprehensive approach to supporting optimal health and well-being. Many people take a daily multivitamin or essential fats, for example. Yet, the fact remains most people do not obtain all the nutrition they require either from foods or from supplements. One reason is that many people do not know which supplements or group of supplements they should take that constitutes a complete nutritional supplement program. Or they may not know the deficiencies from which they suffer. The majority of people are deficient in magnesium, iodine, vitamin D, Vitamin E, B vitamins, nucleic acids, and other critical nutrients. Only a minority of individuals realize they are deficient, and even fewer take advantage of the availability of supplements to correct deficiencies, including those related to diet and nutrition. 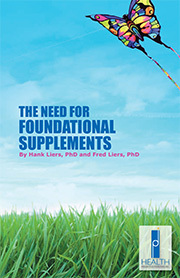 HPDI system of Foundational Supplements rests on four pillars: 1) Multivitamins, 2) Antioxidant/Vitamin C formulas, 3) Essential Fatty Acid (EFA) formulas, and 4) Rejuvenate!™ superfoods (providing therapeutic levels of dietary nucleic acids, which Dr. Benjamin S. Frank asserts are nutrients essential for health). HPDI offers multiple products in each category, all designed to provide high levels of essential nutrients. 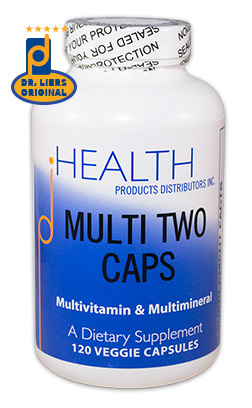 Among multivitamins, HPDI offers the Mighty Multi-Vite™ as a premier formula, but also offers products like Multi Two Tabs (which more economically provide similar levels of nutrients). 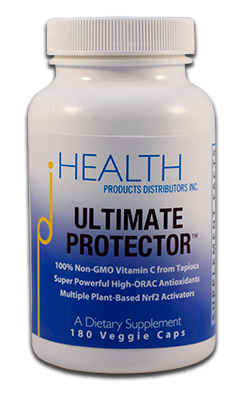 Likewise, HPDI offers Ultimate Protector and PRO-C™ as our premium antioxidant & Vitamin C formulas. Yet, we also offer Buffered-C (tablets) and Vitamin C (ascorbic acid) capsules that offer economy and potency. 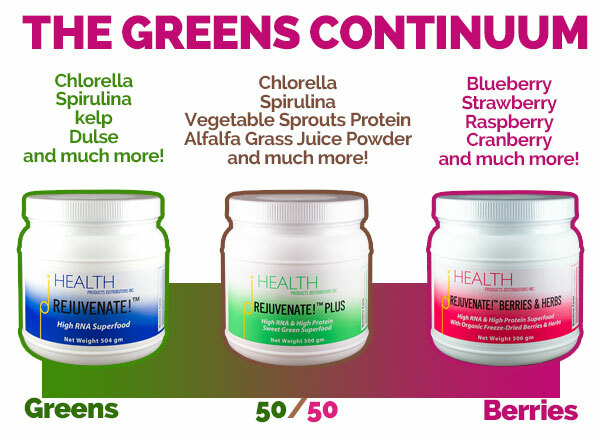 HPDI Foundational Supplements are multivitamins, antioxidants/Vitamin C, essential fats, and Rejuvenate! superfoods. Rejuvenate! 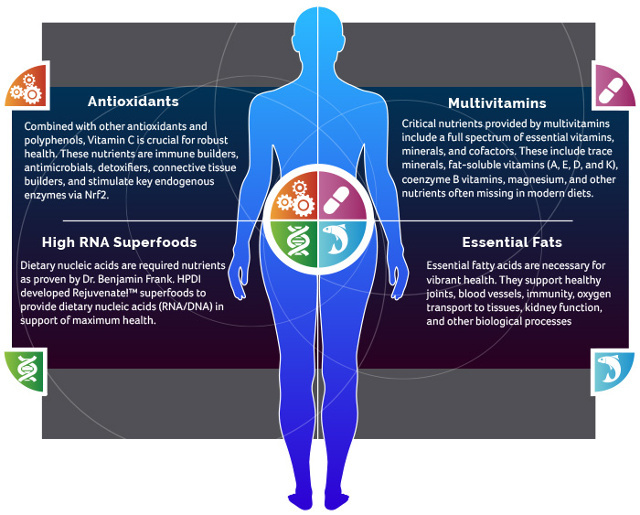 superfoods vary in taste and ingredients, but all offer high levels of dietary nucleic acids. These four types of foundational supplements provide a base for good health by giving the body the nutrients both required for establishing basic health and for supporting optimal health beyond a good diet. That is, they help ensure complete nutrient intake regardless of the type of diet a person consumes. It is known that established government standards for nutrient intake are minimal at best (i.e., not optimal for human health). In addition, the principle of biochemical individuality shows that different persons require somewhat different levels of various nutrients. HPDI formulas are designed to offer maximal levels of essential nutrients safely and effectively. The intention behind the formulation of HPDI Foundational Supplements is supporting the optimal health of the invididual. When individuals consumes the four basic foundational supplements, they gain a greater chance of meeting their unique nutritional needs. They also thereby provide the nutrients their body requires not only to sustain itself and create health, but also to defend itself by supporting optimal cell defense and immunity. Learn more about the HPDI system of Foundational Supplements (http://www.integratedhealth.com/foundational-supplements/foundational-supplements.html). Building powerful immunity depends substantially on how well the body is nourished. That is, how completely the body receives the nutrition required to support its general good health and enable it to defend itself . But that is not all. When it comes to defending the body against viruses, two specific types of formulas can play important roles beyond diet and foundational supplements. These are 1) immunity building formulas that include specific substances/nutrients known to support a robust immune system and 2) Formulas that include nutrients/herbs/substances acting as antivirals and antimicrobials in the body. Many specific immune-building formulas/nutrients, as well as formulas acting as antivirals are included among HPDI’s Enhancement Formulas. These formulas include Immune-Assist™ (medicinal mushrooms), olive leaf extract, Cordyceps, Vitamin D3 Plus, Nascent Iodine, Selenium, Zinc, silver (SilverBiotics Polyvalent silver), and magnesium formulas. Some of these formulas are described in detail in Part Five of the HPDI Rejuvenation Program, as well as below. Other immune-building foods/herbs and antiviral substances like echinacea and garlic are also part of the Rejuvenation Program. For example, echinacea is considered in Part Five, and garlic is discussed in Part Six as its own supporting protocol. Other supporting protocols include hydrotherapy and sauna therapy. Thus, most of HPDI’s immune-building and antiviral type formulas fall into either the category of Enhancement Formulas or Supporting Protocols. In a few cases, certain supplement formulas or recommended foods/herbs both build immunity and act directly as antivirals (e.g., garlic). Note: there are other important nutrients like glutathione, quercetin, and certain liposomal forms of nutrients (e.g., vitamin C) that we won’t go cover in this article, but that can be useful for immunity against viruses. While this article is not intended to be comprehensive, our goal nevertheless is to provide resources that can help anyone seeking optimal health. As mentioned, immune-building formulas in the HPDI system usually fall into the category of Enhancement Formulas. Enhancement Formulas are the “next-level” of defense built upon the Foundational Supplements. That is, after individuals have established high nutrient intake using foundational supplements, we typically recommend Enhancement Formulas next because of their unique capacities to support and build health. While there are various immune-building formulas in the HPDI system, we focus on a select few in this article. Medicinal mushroom are proven immune boosters. When various species are combined in a single formula, the product provides the benefits of each type of mushroom. HPDI offers several medicinal mushroom formulas, including Immune-Assist™. Immune-Assist™ contains a combination of more than 200 different polysaccharides, derived from the enzymatic breakdown of complex organic plant material from six different species of medicinal mushrooms. 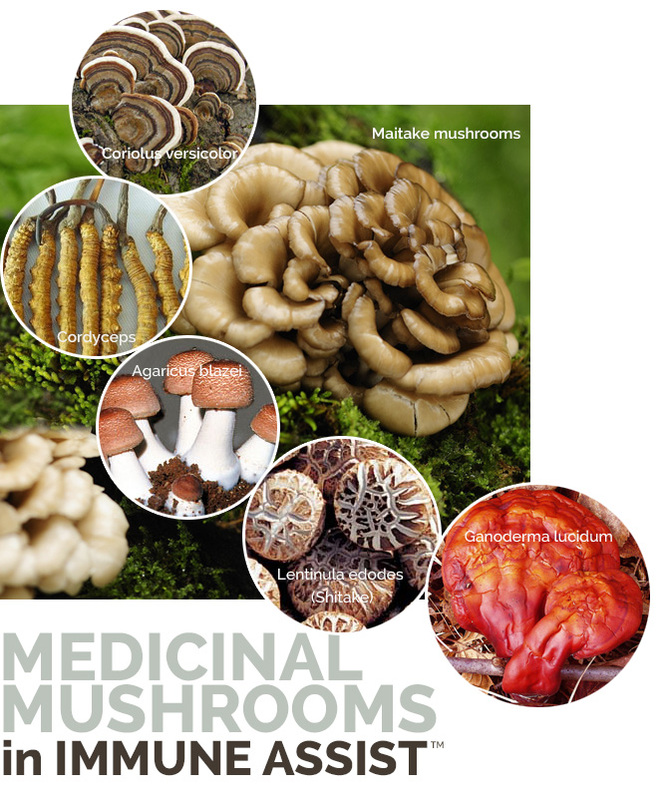 These include Agaricus blazei, Cordyceps sinensis hybrid, Lentinula edodes (shiitake), Grifola frondosa (maitake), Ganoderma lucidum (Reishi), and Coriolus versicolor. Immune-Assist™ contains 500 mg per vegetarian capsule and is made in America using only USDA-certified organic materials. Immune-Assist™ is similar to other mushroom-based polysaccharides in that it is formulated through an enzymatically activated process whereby complex cross-linked polysaccharides from vegetable sources are converted to biologically active immunomodulators composed of simpler sugars (such as arabinose and xylose). However, Immune-Assist™ offers significant advantages. Immune-Assist includes Maitake, Cordyceps, Agaricus, Lenticula edodes, Coriolus versicolor, and Ganoderma lucidum. While Immune-Assist™ contains simple polysaccharides, it also contains more complex polysaccharides, including cross-linked beta mannans and beta-glucans, and hetero-polysaccharides which combine both alpha-bound and beta-bound monosaccharides in the same molecule. These complex polysaccharide compounds are not found in earlier-generation, bran-based supplements like AHCC (Active Hexose Correlated Compound). This is the reason Immune-Assist™ shows such a greater range of immuno-modulation bioactivity than AHCC and other bran-based supplements. Immune-Assist™ contains not only arabinoxylane, but also lentinan, grifolan (Dr. Nanba’s original Maitake D-Fraction), PSK and PSP, and active hemicellulose correlated compound (AHCC). There is about three times more arabinoxylane per dose of Immune-Assist™ than there is in MGN3, and four times more AHCC than in the ImmPower brand of AHCC. 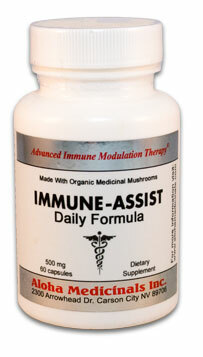 Immune-Assist™ truly is a new and unique immune-boosting supplement. It has been tested in a number of different clinical trials. The results of one clinical trial indicate that mixed polysaccharides of medicinal mushrooms protect the hematopoietic (i.e., blood formation) function of bone marrow, induce the action of the digestive tract, boost the immunity of the cells, and increase the activity of the NK cells, LAK cells, and the ratio of Th to Ts cells. Another useful mushroom that is contained in Immune-Assist™, but which is effective on its own or used in conjunction with other immune-supporting substances is Cordyceps sinensis. HPDI carries Pure Cordyceps Capsules that can be used to support powerful immunity and provide a wide range of other benefits. About a year ago, Fred wrote an extensive blog article title “Olive Leaf Extract: Antimicrobial Health Builder” in which he described many benefits of olive leaf extract (including its antiviral effects), as well as some of my personal experience with this formula. Check out that article for an extensive discussion of the benefits of olive leaf extract. 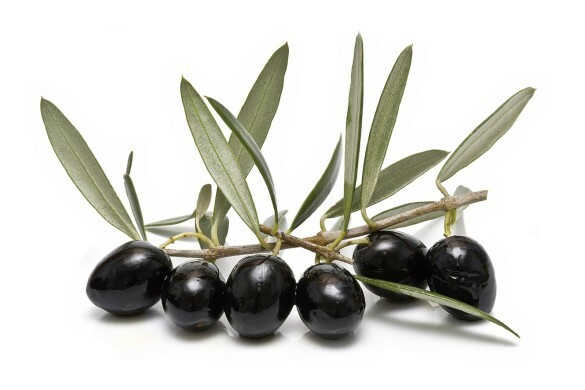 Olive leaf extract exhibits antimicrobial activity. HPDI’s Olive Leaf Extract formula contains 500 mg of the highest-quality patented olive leaf extract in a vegetarian capsule. 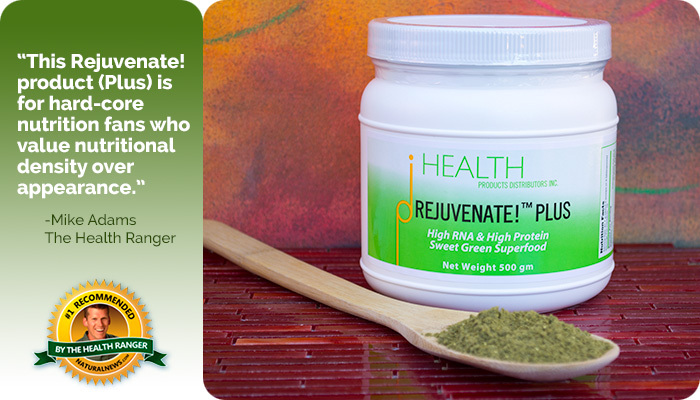 This unique patented olive leaf extract is not inactivated by a blood protein due to its precise molecular rotation. Olive leaf extract has a long history of strengthing health when microorganisms may be present. In recent years, a drug company discovered that in vitro (test tube) an extract from olive leaf (calcium elenolate) was effective in helping to control a very broad range of organisms. The problem with using it in the body was that once in the blood, a protein combined with it and caused it to be inactivated. An American company in 1995 found that if the active molecule in olive leaf extract was rotated around a specific axis by a precise amount, the blood protein no longer inactivated it. Olive leaf extract products without this unique molecular rotation are minimally effective in the body because they are inactivated by a blood protein after a short period of time (approximately 15 minutes). HPDI’s Olive Leaf Extract provides molecular rotation for maximal effectiveness. 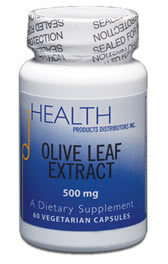 Many people report higher energy levels when using olive leaf extract. It has been shown to be extremely safe and non-toxic (even in large doses). See Olive Leaf Extract by Dr. Morton Walker for further information on its effectiveness and full range of applications. But it does so much more. That’s why we include it as an HPDI Enhancement Formula and have designed our own product that includes vitamins A and K2 (as MK-7) known to improve utilization of vitamin D in the body. Vitamin D3 Plus is an advanced Vitamin D formula providing high-dose Vitamin D3. Vitamin D3 is the natural form of Vitamin D produced in the body from sunlight and is the form best used for therapeutic purposes. 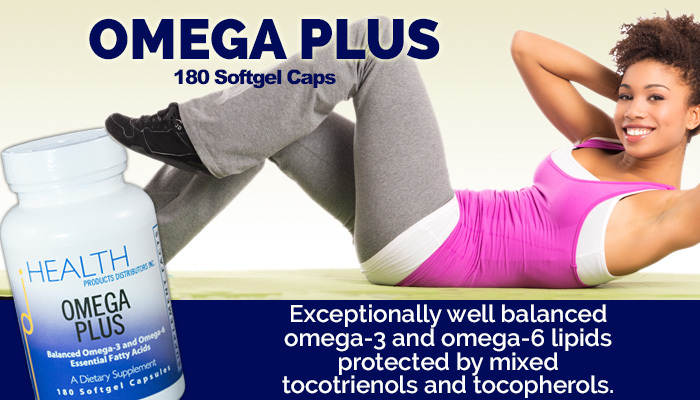 One softgel capsule of Vitamin D3 Plus provides 5,000 IU of Vitamin D3 derived from highly purified and molecularly distilled fish liver oils. In addition, the product contains 1,000 IU of Vitamin A also derived from highly purified and molecularly distilled fish liver oils and 10 mcg of Vitamin K2 from menaquinone-7. Vitamin D3 Plus includes synergistic nutrients known to enhance absorption and use of Vitamin D3 in the body. These nutrients include Vitamin K2 (menaquinone-7) (10 mcg), which which works together with Vitamin D to help boost bone density, improve cardiovascular health, and boost immunity. Vitamin D3 Plus also provides 1,000 IU of Vitamin A, a nutrient known to work powerfully with Vitamin D to help create optimal health. As dosages of Vitamin D increase, ideally your dosage of Vitamin A also will increase, and vice versa. The formula also includes natural Vitamin E as an antioxidant. 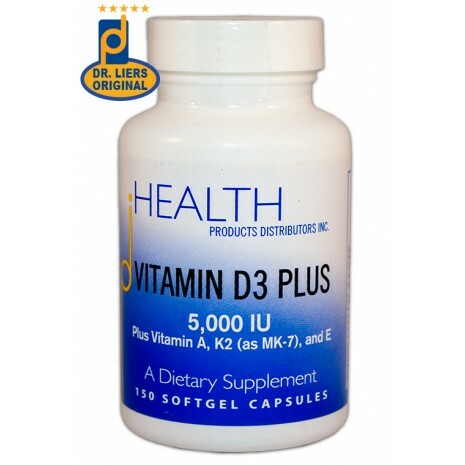 Vitamin D3 Plus includes vitamins A and K2 (as MK-7). Vitamin D3 is a fat-soluble vitamin increasingly known as a nutrient essential for health and well-being. Recent studies show that almost all body systems benefit from adequate Vitamin D intake/production. Therefore, it is important that the body receive optimal amounts in order to build the best health. In fact, recent studies indicate that 5,000 IU of Vitamin D3 is an ideal amount for daily intake. What is notable about this amount is that the body does not gain the full benefits from Vitamin D until it reaches this “threshold” level of 5,000 IU While the body stores Vitamin D, it must first be given an adequate supply. Vitamin D deficiency currently is a worldwide epidemic with more than one billion people at risk for diseases associated with low Vitamin D status. Vitamin D is proven safe and effective for a wide range of health conditions (see above and below). There are various reasons for this epidemic, including a significant portion of the world’s population living in northerly latitudes (where sunlight is inadequate during many months of the year), sun avoidance, time spent indoors, etc. Vitamin D3 Plus provides only the Vitamin D3 form of Vitamin D. We avoid the use of Vitamin D2. Vitamin D2 has greater potential for toxicity, poorer absorption, and reduced effectiveness. Nascent Iodine is the ideal form of iodine, rapidly absorbed and used by the body when taken as a nutritional supplement. Iodine is associated with a wide range of benefits, not limited to supporting thyroid function and regulating metabolism, boosting energy levels (when iodine is deficient), supporting and maintaining detoxification systems and processes, supporting immune system function, fighting infections (natural antiseptic), and many other healthy benefits. 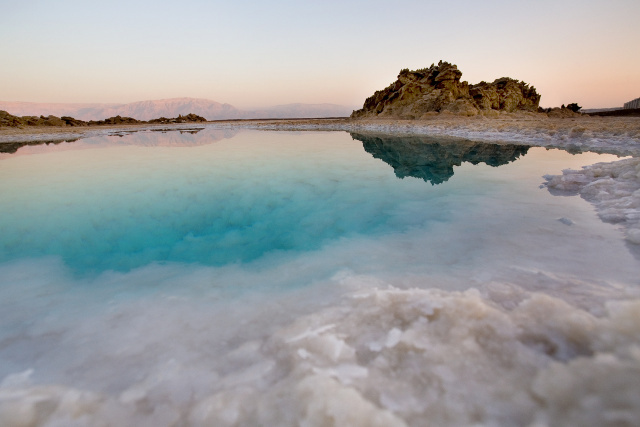 Because of its antiseptic properties, it also can be used effectively to purify water for drinking. 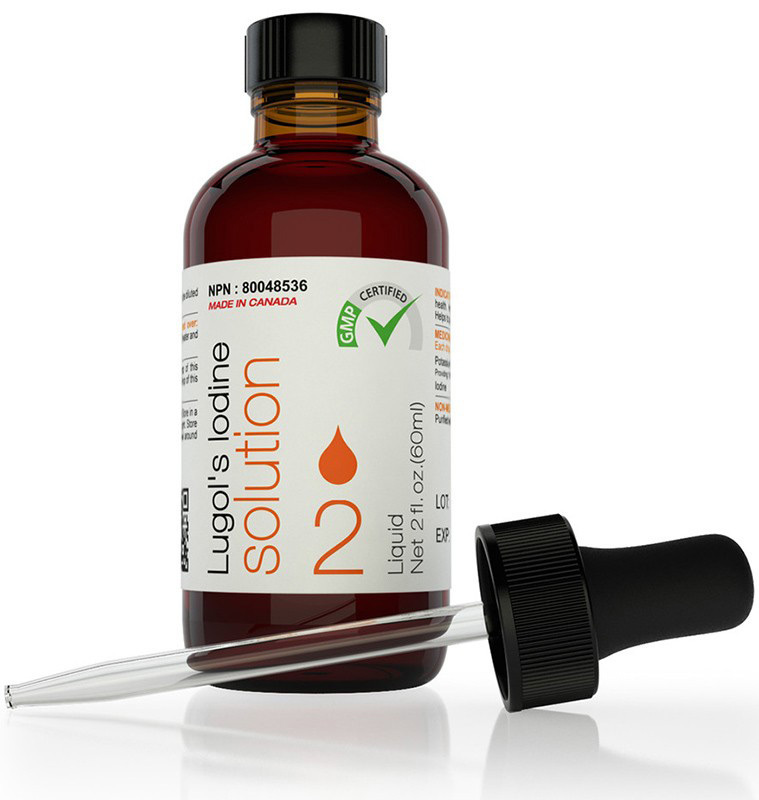 One drop provides 400 micrograms of Nascent Iodine in a base of certified Biodynamic® grape alcohol. Biochemically, Nascent Iodine is consumable iodine in an atomic form rather than a molecular form. It is highly bioavailable as a pure atomic iodine supplement in an energized state. This “charged” state is held by the atom until diluted in water and consumed, whence it gradually loses energy over a 2–3 hour time span. During this time, Nascent Iodine is recognized by the body as the same iodine that is used by the thyroid and is absorbed effortlessly by the body. As noted, this particular form of iodine is unique and well known to offer beneficial effects unlike any other form of iodine. 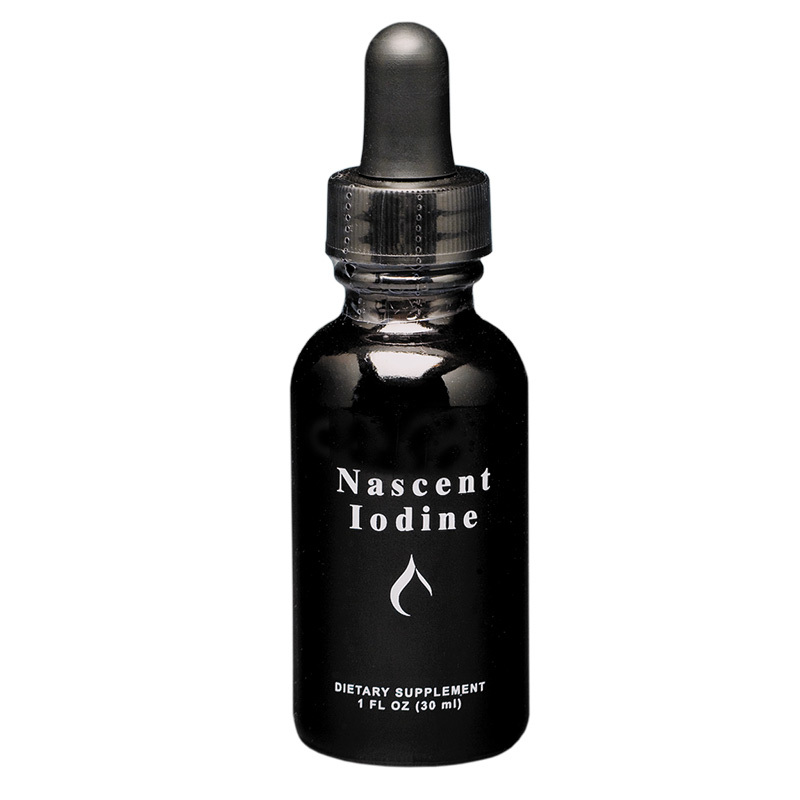 Nascent Iodine supports immunity, thyroid health, and provides many other benefits. Partly due to the fact that iodine supports (and is required for) thyroid function, the uptake of adequate amounts of iodine helps the body produce substantial levels of energy for metabolic processes. It is notable that twenty-five percent of the iodide ions found in the human body are found in the thyroid gland. It is estimated that more than 90% of Americans suffer from a deficiency of iodine. There are many causes for widespread deficiency among the population. Some significant factors include diets lacking in ocean fish or sea vegetables (e.g., seaweeds), high intake of bromine (which is added to commercial breads and baked goods), and vegetarian or vegan diets (see more below), all of which may contribute to lower than optimal levels of iodine. Moreover, it is known that toxic halides, including chlorine, fluorine (e.g., fluoride in toothpaste), and bromine (e.g., in breads) compete for uptake with iodine in the body, thereby contributing to iodine deficiency. Iodine deficiency can lead to the development of many adverse health conditions (and a wide variety of symptoms) because the entire body (i.e., all organ systems) depends upon iodine for the critical roles it plays energy production, healthy metabolism, and overall support of health. The importance of iodine to the biological function of the body traditionally focused on the role of iodine in the nourishment of the thyroid gland, particularly for the production of T3 and T4 hormones, and the regulation of metabolism. However, as the understanding of this nutrient progresses, we have come to understand that the roles of iodine in the body far surpass those roles it has been believed to fulfill. Iodine is not only necessary for overall health, but also is a crucial component of detoxification processes critical for sustaining life and health. Colloidal silver is a proven antimicrobial. 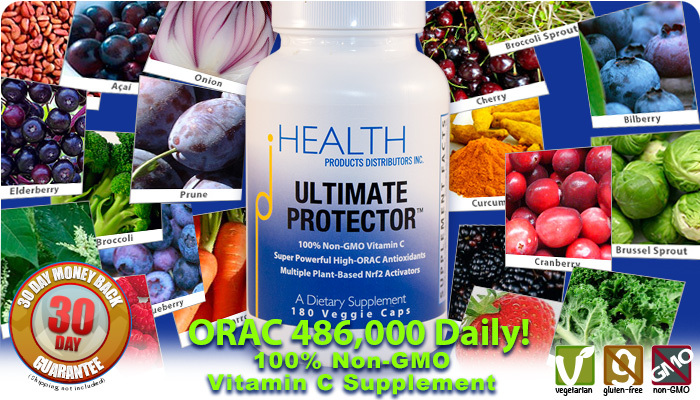 It is highly effective against a broad range of viruses, bacteria, and fungi. It can help you combat these microbes. HPDI offers a Silver Biotics® product made using a patented method to produce nano-silver particles suspended in a medium of highly purified water. The Silver Biotics® particles have been defined as a metallic nano-silver particle with a thin coating of polyvalent silver oxide. Polyvalent silver supports and maintains health naturally. The patented production method supercharges the silver particles using 10,000 volts AC, whereas other colloidal silver solutions are typically only charged with 100 volts DC. This supercharging results in 2 electrons being removed from the outer shell of the silver atom giving it a +2 ionic charge compared to a +1 ionic charge for other colloidal silvers. Because the ionic charge is one of the primary mechanisms by which silver particles work, the Silver Biotics® particles are significantly more effective than conventionally produced colloidal silver. The patented production method used in creating Silver Biotics® polyvalent silver produces a unique electron configuration that gives the silver particles the catalytic ability to recharge and regenerate themselves over and over again. This gives each silver particle in the Silver Biotics® solution the ability to be used multiple times as opposed to the one time use of the particles produced by most other colloidal silvers. Research also shows that conventionally produced colloidal silvers have a bioavailability of 15–65%, whereas the Silver Biotics® polyvalent silver has a bioavailability of over 99%. The ability of the Silver Biotics® polyvalent silver particles to be used multiple times along with the high bioavailability means that the Silver Biotics® is significantly more effective than other colloidal silver products even at the lower concentration of 10 ppm. The silver particle size range in Silver Biotics® is between 0.005 and 0.015 microns. The particles are suspended in a solution of double distilled water. Our manufacturer has chosen a safe FDA approved plastic container for the Silver Biotics®. Research studies have shown that glass containers cause the polyvalent silver particles to plate out or precipitate from solution and reduce the product’s effectiveness by about 50%. Tests performed at multiple research laboratories have shown that Silver Biotics® is highly effective against a broad range of bacteria, fungi (including Candida albicans), and viruses. Because Silver Biotics® does not target specific mechanisms, receptor sites, or metabolic processes, it is unlikely that mutations of the microbes will produce resistant strains (as antibiotics often do)! In addition to its antimicrobial properties, Silver Biotics® has been shown to be a potent anti-inflammatory agent. Furthermore, there is powerful evidence that Silver Biotics® improves the state of the body’s immune system. 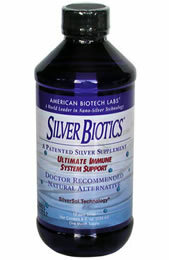 Silver Biotics® can be applied topically or taken internally. Also, it can be used as a topical disinfectant. Studies have demonstrated that it is highly non-toxic, even at high levels of ingestion (5g/kg of body weight). Furthermore, research studies by major research groups have shown that Silver Biotics® solutions are not cyto-toxic and do not kill friendly probiotic bacteria. Magnesium is one of the most important minerals for health. It offers so many benefits that it would be difficult describe them briefly. However, suffice it to say that magnesium supports immunity, energy (ATP) production, vascular health, and total body wellness. Yet, nearly everyone (greater than 90% of Americans) is deficient. HPDI offers several types of magnesium supplements. 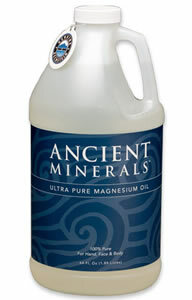 We offer a full range of Ancient Minerals topical magnesium chloride products, including magnesium oil, as well as flakes and gel. We also offer Myo-Mag, a unique combination of magnesium, malic acid, and synergistic nutrients. Topically applied magnesium chloride formulas are among the most effective at rapidly elevating magnesium levels in the body. Magnesium provides significant health benefits to the body, including immune-boosting effects. Magnesium-rich water provides the body with rapidly assimilable magnesium. Magnesium is necessary for the production of energy (ATP or Adenosine Triphosphate) in the body. When the body receives adequate amounts of magnesium, it can produce the levels of energy required to sustain the body and enable it to thrive. It is precisely because energy (as ATP) is required for the health of human organism that the critical role magnesium plays in energy production is gaining increased recognition by individuals interested in nutrition and natural health. All organ systems depend on energy. A mineral nutrient (i.e., magnesium) that can increase cellular energy thereby has the capacity to improve the health of the entire human body (i.e., all organ systems) via providing the energy for sustaining them all. Magnesium is critical for cell metabolism. It helps to transport other minerals across cell membranes and affects cell mechanisms controlling muscle and nerve cell activity. Magnesium specifically is important for the metabolism of many biologically active nutrients and substances, including calcium, potassium, phosphorus, zinc, copper, sodium, lead, cadmium, hydrochloric acid (HCl), acetylcholine, and nitric oxide (NO). It is required for more than 325 magnesium-dependent enzymes, cellular homeostasis, and activation of the B vitamin thiamin. It mediates the functions of the nervous and endocrine systems, supports proper muscle and nerve function, stabilizes heart rhythm, helps to regulate blood sugar levels, and supports normal blood pressure. As noted, magnesium is important in energy metabolism and the synthesis of proteins. The majority of magnesium within the nucleus of cells is closely connected with nucleic acids and mononucleotides. In fact, magnesium helps to maintain the structural integrity of DNA. Unlike any other form of magnesium, magnesium chloride is a known infection fighter. As early as 1915, the French surgeon, professor of clinical surgery, and French Academy of Sciences member Dr. Pierre Delbet (1861–1957) used magnesium chloride solution to cleanse wounds in soldiers injured during the First World War. He had searched for an antiseptic that could disinfect wounds, but would not damage tissue (and thereby encourage mortification) as did other antiseptics then available. He reported that magnesium chloride was superior to traditional antiseptics not only in its effectiveness in treating wounds, but also because it did not harm body tissues. Dr. Delbet discovered that magnesium chloride solution increased leucocyte activity and phagocytosis (i.e., the destruction of pathogenic microbes) when applied externally (i.e., used transdermally). He performed numerousin vitro and in vivo studies using magnesium chloride solution. These experiments led to his discovery that magnesium chloride was a potent immune stimulant whether applied externally (i.e., transdermal application), injected intravenously, or taken by mouth (i.e., consumed orally). He termed this immunity boosting effect “cytophilaxis” (a cytophylactic is a substance that protects cells and encourages their healthy growth). In this regard, he observed increased phagocytosis (the engulfing of pathogens by white blood cells) by up to 300 percent. That is, white blood cells were three times more effective at destroying microbes than before administration of magnesium chloride. The pioneering efforts of Dr. Delbet were followed in the 1940s by fellow French physician Dr. A. Neveu. Dr. Neveu confirmed the immuno-stimulant effects of magnesium chloride, and he successfully tested magnesium therapy for wide range of conditions. These conditions included colds and flu, throat infections of the tonsils and pharnyx, lung and respiratory conditions, gastrointestinal inflammation (stomach flu), skin infections, septic wounds, and many common childhood conditions. More recently, other physicians such as Dr. Raul Vergini in Italy have confirmed the results reported earlier by Dr. Delbet and Dr. Neveu. Dr. Vergini reports excellent results using small quantities of orally administered magnesium chloride solution (2.5 percent magnesium chloride) both for proven applications developed by Dr. Delbert and Dr. Neveu, and for a broad range of other health conditions. Magnesium oil provides an ideal means to increase magnesium levels in the body. Additional benefits of magnesium oil include greater energy, more relaxed muscles (and stronger connective tissues), better sleep, improved mental function, headaches reduced (or eliminated), arterial health, better reproductive function, and better hormonal balance for men and women (and reduced PMS). In addition, magnesium maintains the flexibility of cell membranes for improved intercellular communication, greater uptake of bioactive substances (e.g., micronutrients, neurotransmitters, and hormones), and detoxification of toxins and metabolic waste products. Magnesium oil also acts as an effective full body tonic. Dr. Sircus asserts that transdermal magnesium therapy is among the very best ways to improve human health. Myo-Mag synergistic magnesium and malic acid formula. Other useful minerals for supporting immunity include selenium and zinc. HPDI offers Selenium (from l-selenomethionine) and Double Zinc Plus to cover your needs for these important minerals. Vitamin C is a Foundational Supplement in the HPDI supplement system. That is, we consider it more fundamental than an Enhancement Formula, and so ideally everyone takes Vitamin C daily as part of a set of foundational supplements. I’m discussing it here because it plays a significant roles as immune-booster, and because the body may benefit from additional amounts of Vitamin C as a means of supporting health when fighting viral infection. If you’re not already taking Vitamin C as part of your daily basic (i.e., foundational) supplements, then be sure either to add it to your supplement regimen or at least increase your intake during times you’re likely to be exposed to viruses. 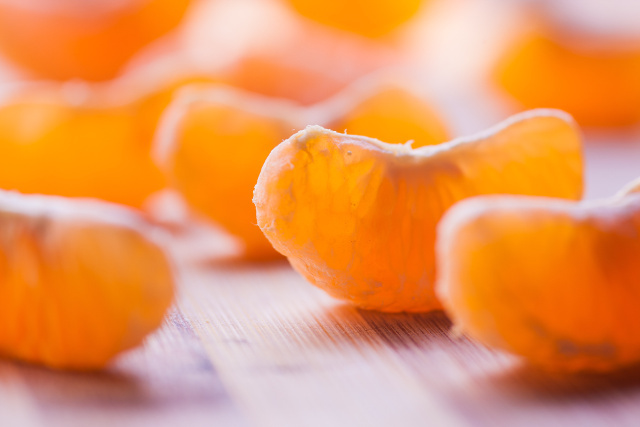 Never forget the power of Vitamin C to benefit health, including support for strong immunity. Nobel prizewinner Dr. Linus Pauling documented the manifold benefits of this essential nutrient. If you read his research (in his books like How to Live Longer and Feel Better), you will see there is good reason why Vitamin C is classified a “vitamin” because without it we cannot survive. Vitamin C rich foods include citrus fruits, peppers, and certain berries. Dr. Pauling extolled the efficacy of Vitamin C in his many books, including How to Live Longer and Feel Better. We highly recommend this highly accessible work (even it that’s the only one you read) as he wrote it for a general audience. Or peruse his landmark Vitamin C and the Common Cold for additional perspective. We include Vitamin C in our HPDI Foundational Supplement system precisely because of its critical role for basic health, healing, and wellness. HPDI offers a range of Vitamin C products. These formulas include our premier PRO-C™ super antioxidant formula and Ultimate Protector Nrf2 antioxidant formula. We also offer Buffered C tablets and powder, as well as ascorbic acid capsules. 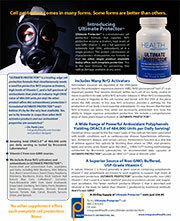 Ultimate Protector Nrf2 activator formula provides vitamin C, antioxidants, and Nrf2 activators. The HPDI Rejuvenation Program includes various other means for supporting the body, including the immune system, against viruses and for good health generally. As noted, one of the Supporting Protocols is the Garlic Program. Yet, other subprograms discussed include hydrotherapy and saunas, massage, acupuncture, and yoga. We include these because building strong immunity almost always involves more than just diet, nutritional supplements, and a positive outlook. Incorporating various forms of exercise, relaxation, mindfulness and meditation, and traditional healing arts are proven means to support good health. And help to support immunity in ways that can help fight the viruses and other microbes that take advantage of weak immunity and undermine our health. There are many things individuals can do to support powerful immunity that can help protect the body against viruses. In fact, there are many additional nutrients we haven’t discussed here. Suffice it to say that there are many natural nutrients, herbs, and other substances that can effectively support immunity and wellness in the face of exposure to viruses.